We have to consider two things side by side to gain muscle. First, you need to get a good diet to gain muscle and then a good regular workout. You may join a gym with good machines and instructor for the workout. In addition to that, you also need to cut and add a few things in your diet. 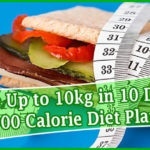 You will need to consume extra proteins according to your weight and cut fats. According to Sarah Dacres-Mannings (a spokesperson for Sports Dietitians Australia), we need about 1.7 gram of protein per kilogram of our weight if our aim is to become an athlete or gain muscle. Here are some foods that you should be a part of your regular diet to gain muscle. Eggs are an essential food to be consumed regularly if you plan to gain muscle. It contains a good amount of amino acid leucine that is considered important for those who workout. Here see 4 quick and easy dishes you can make with Eggs. Beef contains many minerals and high-quality proteins. It also includes vitamin B. Instead of using packed beef, lean ground beef is recommended as it contains more proteins with fewer calories and fat. Just as portrayed in Popeye the sailor man, spinach really is a great vegetable for those looking to gain muscle. You can also it with other vegetables to make tastier. Chicken Breast contains more proteins than any part of the chicken. It is recommended to use color-feathered chicken raised on home food. Vitamins in the chicken breast are especially helpful in physical activities to gain the best muscle. Greek yogurt has around 20 grams of protein in one cup and a lot lesser carbs than the plain yogurt. Nonetheless, you can use it with any dish to make lunch tastier. It is no secret that apples are a rich source of protein and iron. Eat an apple after the main course of all three times of food. You should also use it as a pre-workout carb source. 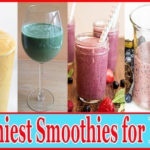 Here we have shared 10 Most Tasty & Healthy Shakes for Breakfast with Calorie Count. Organic milk has a lot more omega-3 fatty acids than the regular conventional milk. Milk provides calcium to your body that makes your bones stronger which we all know is very important for athletes. Almonds have countless benefits for your muscles and your brain. You will gain magnesium, vitamin E, and phosphorus in addition to the proteins from almonds. Try out one of the almond milkshakes for the best taste and proteins. Salmon fish one of the foods most used by bodybuilders. It contains many B vitamins and omega-3 fatty acids just like organic milk. It is particularly very good for muscular health. Brown Rice is whole-grain or unpolished rice and great diet to gain muscle. It also has protein but not as much as other foods shared in this article. They are, however, still important because of the carbohydrates in it that enable you to perform physical activities all day long.